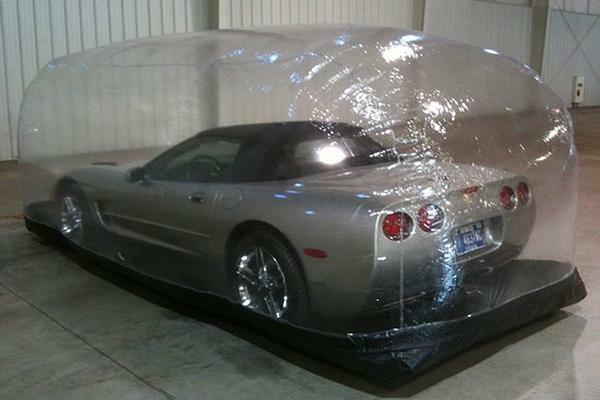 Protect your vehicle indoors with one of these car capsules. 14 to 22 feet in length, a car capsule is made from 10 mil PVC material that is flame, mildew, and rot resistant. 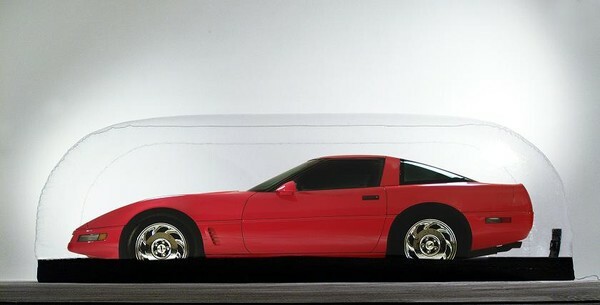 Additionally, the capsule protects the vehicle inside from corrosion, rust, dust, dirt, fingerprints, and dings. 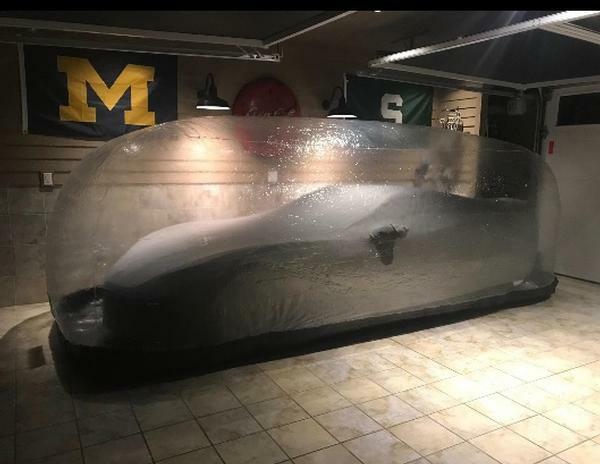 Accompanying the inflatable car capsule is a base made from 18 ounce herculite, which won’t be damaged by oil, gas, or antifreeze. 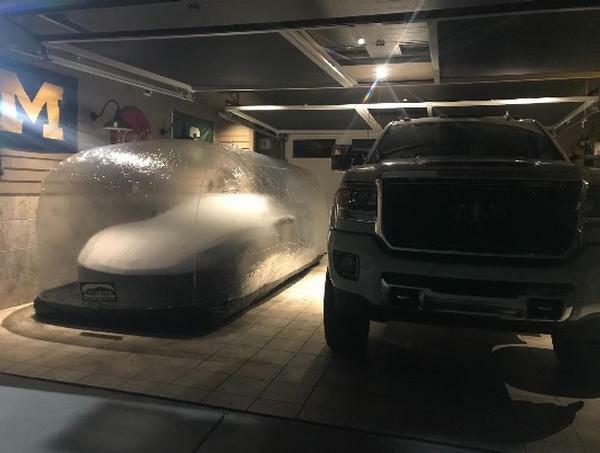 The newest way to store any classic vehicle indoors, car capsules inflate around the vehicle by way of a 12-volt fan and create a protective barrier strong enough not to be deflated by a hammer or similar object. Car capsules are the newest way to store your valuable vehicles indoors. These easy to use capsules inflate around your vehicle creating a protective barrier. Keep away elements such as corrosion, rust, dust, dirt, dings, and even finger prints. The car capsule base is made of an 18oz Herculite material that is impervious to oil, gas, and antifreeze. The included 12v fan inflates the capsule creating such an airtight bubble that if you accidentally drop a 5lb hammer on it, it would bounce right off! Capsule dimensions are 16' x 72" x 68"